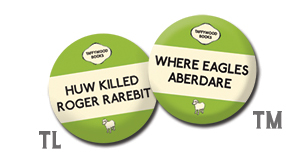 See, everyone's wearing our small but beautifully formed 25mm pin badges, which now come in a variety of brilliant designs. 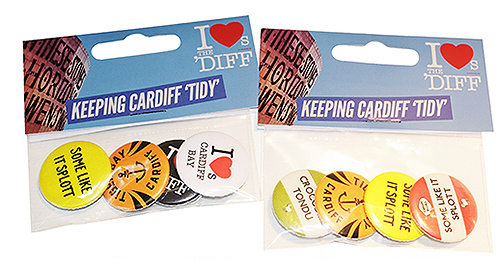 Cute and fun, these metal-backed little chaps are assembled by us in Cardiff and are guaranteed to brighten your day and invoke 'badge envy' in passers-by. 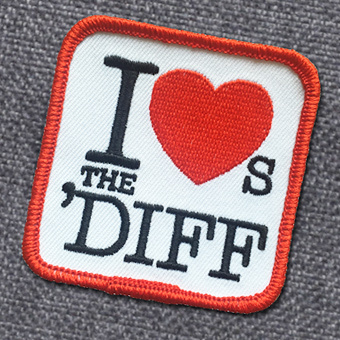 Basically, righ', they are an essential accessory for style-conscious ambassadors of Wales or the 'Diff. 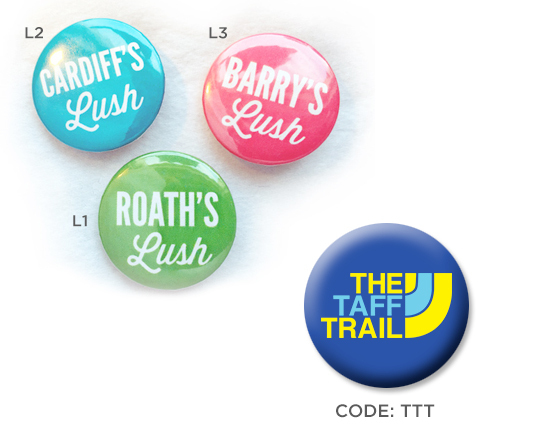 Choose yer fave four for just £3. And remember, any of these designs can be made into a t-shirt – just get in touch by email and let us know what you want. PIN BAGDE PICK 'N' MIX! These are just examples. We can feature any place you like. Use code SO9 and tell us what area or town you're Straight Outta. 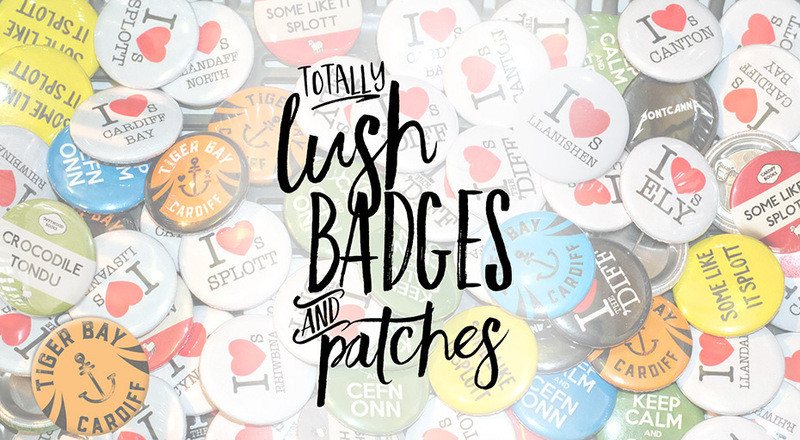 We now offer loads more badges than before. They come in sets of four – any four! 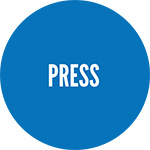 – in a smart presentation packet, which makes for a nifty little gift. 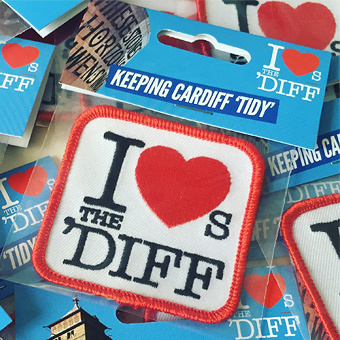 And it's just £3 including postage. Can't choose just four? Understandable. 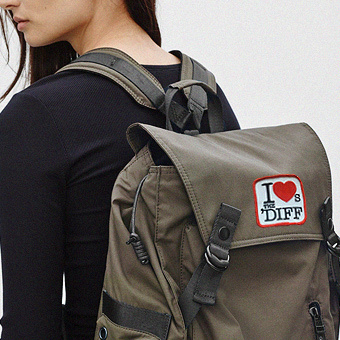 Get two packs for a fiver then – bargain! Want something that isn't here? 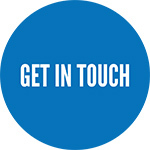 Either insert name in text box or email us. 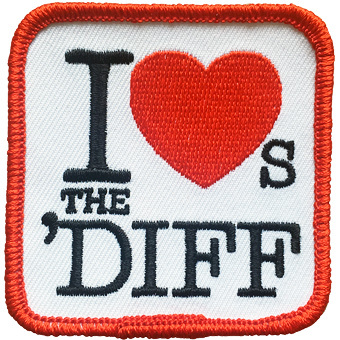 Fabric I Loves The 'Diff embroidered badges, bright and beautiful – perfect for sewing onto a garment or a rucksack to show the world yer loves for Cardiff. At 6cm x 6cm square these high-quality patches are also the perfect size for hats and caps.